Welcome to the first Homestead Highlight. My greatest inspiration in my own backyard farming adventure has been to hear the experiences of others. 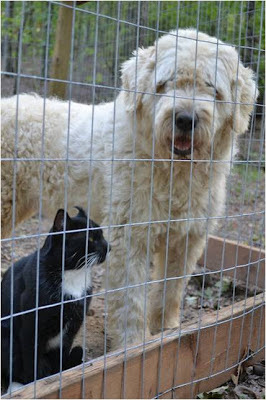 I invite you to read along here as Homesteaders share their adventures and experiences from their own farms, backyards, and homes. Today I welcome Tammy to this space. Tammy and her husband David live on 20 acres in SE Missouri. 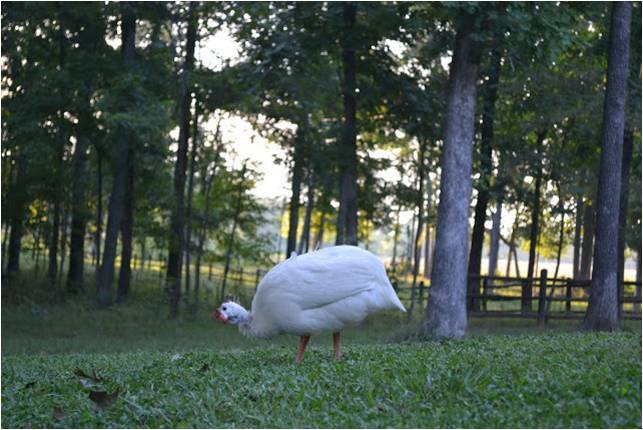 You can read more about Tammy at her blog Our Neck of the Woods or on Facebook at http://facebook.com/baranifarm. 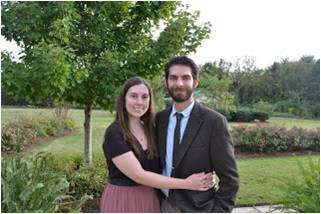 My husband, David, and I moved from the city to the country in May 2011. We live on 20 wooded acres and love working on our homestead. You can follow our adventures on our blog Our Neck of the Woods or on Facebook at http://facebook.com/baranifarm. 1) How long have you been backyard farming? What got you started? The one thing that started us on our path was a documentary called Food, Inc. I highly recommend the film if you haven't seen it. We were shocked to find out what really goes into making our food and I was so moved that I felt we had to make changes and take a more active role in our food supply. We'd always thought about planting vegetables and growing fruit, so we started a small garden in our back yard with tomatoes and herbs and also planted some fruit trees and grape vines. Next up, David had the crazy idea of getting chickens! I was so against it at first. Being a city girl since birth, I thought chickens were gross and stinky and a lot of work. I did not want them in my back yard! But one look at the tiny baby chicks and I was a goner. 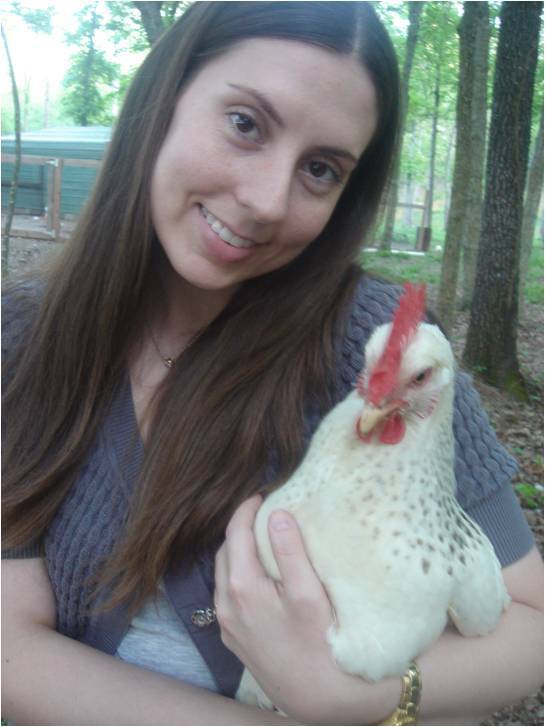 Now I’m a crazy chicken lady! Our first eight chicks were hatched on August 24, 2009 and it has been a wild ride since then. Our passion and dream became living in the country with enough land for our chickens to roam freely and a large garden. Of course you can have a great homestead in the city, but for us, it just wasn’t cutting it. We decided to go for our dream and moved from the city to our country homestead in May 2011. We have been happily homesteading ever since. 2) What does your backyard farm look like? Where is it? We live in SE Missouri on 20 wooded acres. Our chickens and guard dog, Duchess, are in the back yard off to the right, and our vegetable garden is on the left side of our house. We have tons of trees out here, so we had to put the garden in a place where it was close to water, but would also get enough sun for the veggies to grow. 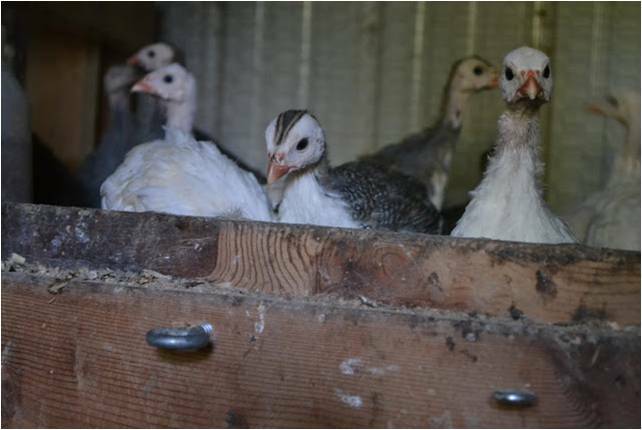 We also have 13 guineas free ranging and 15 of their babies in an enclosed coop until they get old enough to release (tick control!). We have one outdoor cat named Baby who came with the house, and the neighbor's tuxedo cat (I've dubbed him Sylvester) is a frequent visitor. 3) What has been your biggest success and biggest mistake? Luckily we haven't had any monumental failures so far, but this past year I think our biggest mistake was not keeping up with weeding in our vegetable garden. We just kept ignoring the weeds and before we knew it, the garden was overrun! Not only did it look bad, but our harvest suffered as well. I think our biggest success is hatching 15 keets (baby guineas) this summer. We had a broody guinea sitting on a clutch of eggs, but she abandoned the nest towards the end. We brought the eggs inside and hatched them ourselves. It was a magical thing to witness and I'm still kind of shocked that so many of them survived! 4) What plans do you have for the future? Right now, we have our eyes on babydoll sheep. We'd love to add a couple to our homestead just for fun, possibly next summer. Our long-term plan is to get a pond dug in the back (it's crazy expensive so we have to save up for a while) and have lots of ducks and geese. Basically just adding more animals to the menagerie! Thanks Tammy! Join us again next Wednesday. So glad to have you here! It was inspiring to hear about your experience! And I agree -- the documentary Food, Inc. is a great wake-up call to the troubles of our current food system! Food Inc was definitely a wake-up. I love hearing about people who make the move to the country! It can be a big leap. Great interview I do read Tammy's blog and I love the way she homesteads and is so excited. I live on two hundred acresa and we raise grass fed beef but we have farmed different animals and crops since moving here from a village 33 years ago. Lots of mistakes but there is nothing like raising your own food. Funny, I found this blog via Tammy's. Sharing the love! I just started with chickens and am suburban, so I am loving all of this great information. Thanks!